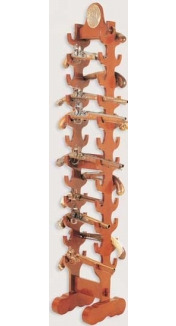 Display racks for replica guns and swords. See details Presentation Wood Box. 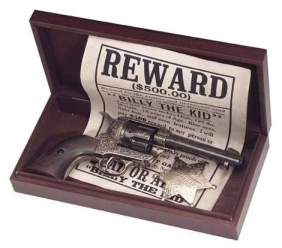 DELUXE WOOD PISTOL DISPLAY BOXES. Hand made in Poland with deluxe walnut finish stained inside and out and hidden hinged tops. Contents shown are not included. Size: 12.25" X 5".